Custom shirts in denver Blog | Get your Image on! Fast affordable Custom t-shirts Denver. Get just one! full color! Our new State of the art Digital direct to garment printer with it’s White ink printing system is up and running. Now it is easy and more cost effective then ever to get just one a a couple of Custom printed t-shirts, Hooded seat shirts or any garment printed. 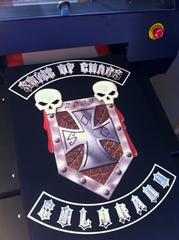 This system with it’s white ink printing capabilities will image any color garment dark or light. It has an amazingly large print area at 16″ x 45″. you can image the entire front and back of a hoodie. We’ve been having lots of fun experimenting with this system. It’s just so easy to print custom tee shirts with no need for vector spot color art, No production art and film positives, No screen burning or setups, no ink miking…. It’s push button digital t-shirt imaging at it’s best. Art needs to be high resolution. and you may not want to print something that is not thousands of colors…. 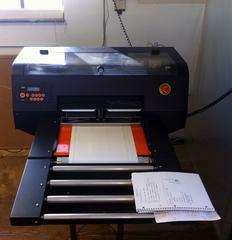 this prints full color photographic images. It would be a waist to do just one one color shirt. But we’ll do it too. Denver’s Only full service Custom t-shirt shop! Direct – Full color- No minimum – Any garment color. like neon, glitter, puff, metallic & More. child entertainment! Dusty Loves children! Tools ‹ Custom shirts in denver Blog — WordPress.